Buy 24 or more for $10.92 each. * This product is not available for shipment to Canada. 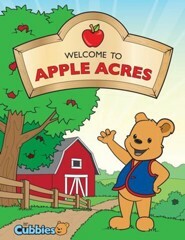 After children in Awana Clubs Cubbies® complete the Apple Acres Entrance Booklet, they can begin work in this fun AppleSeed Handbook - the heart of the Awana Cubbies program. Creative learning activities encourage parent-child interaction at home. 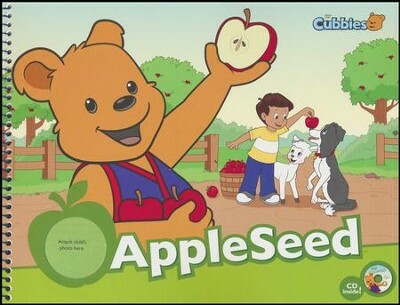 Weekly Bear Hugs include memory verses, Bible lessons and activities that teach basic truths about God, Jesus, sin and salvation as well as optional Review and Under the Apple Tree sections. This edition contains the ESV Bible Translation. Spiral bound, 8.5" x 11". Order one copy for each student. 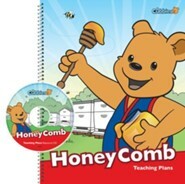 Note: The HoneyComb handbook is also part of the Cubbies series of books for preschoolers. 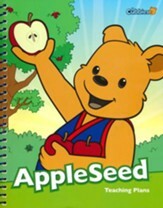 Either book, AppleSeed or Honeycomb, may precede the other. 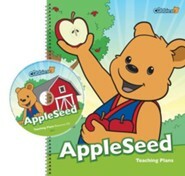 The AppleSeed and HoneyComb handbooks combine basic Scripture memory with parent-child activities to help Cubbies grasp simple biblical truths. One handbook is completed in a year. Each handbook contains 26 Bear Hug sections along with four special day sections. Each Cubbies handbook contains an AWANA website link on the front cover that will take you to a free audio download, for use at home. I'm the author/artist and I want to review AppleSeed: Handbook with Audio CD (ESV).